noted: Anyone for leg warmers? Lola apres swim is very pretty! 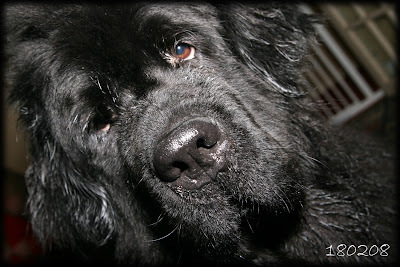 Newfy hair often takes on a crimped look when wet... a real 80's throwback! Very cute indeed! Bless her. She is so beautiful!! Ditto to Sandies comment ! Dont you just wanna hug and squeeeeeeeeeeeze her !